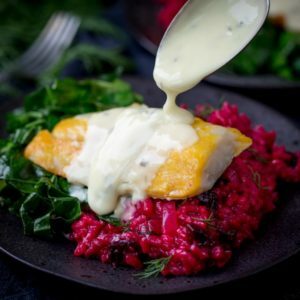 Smoked Haddock with Beetroot Risotto and Garlicky Greens – a colourful and balanced dinner! 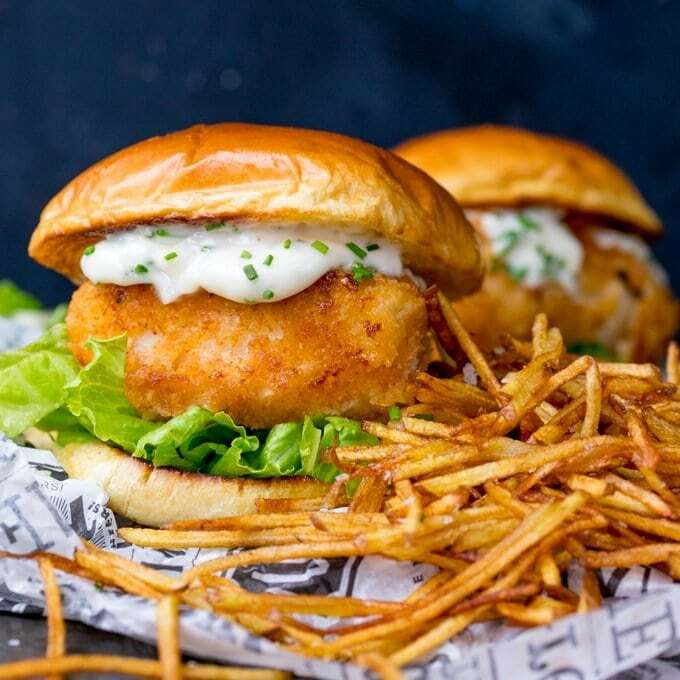 This post was written in collaboration with The Saucy Fish Co.
You’ll need to get your sunglasses on for this one guys. A serious rainbow of colour to brighten up a miserable Autumn day! Do you cook with beetroot? I think the pickled version scares a lot of people off (personally I love it served with cottage pie or as part of a cheese and beetroot sandwich!). But the raw version that you peel and cook yourself? It’s sooo different from the pickled version. A beautiful sweet, earthy flavour. Yes you will dye your hands purple if you try to peel and chop it without gloves, but rinsing your hands with water and baking soda or whitening toothpaste will clean it off (that handy little tip works for hands stained with food colouring too). I’ve been experimenting with beetroot a lot recently. 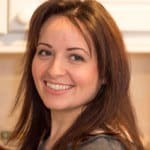 Roasted dark purple chunks (lovely with parsnips and sweet potato), pureed and stirred into dips or made into skinny little shoestring fries , yep the superfood that is beetroot is a new favourite. 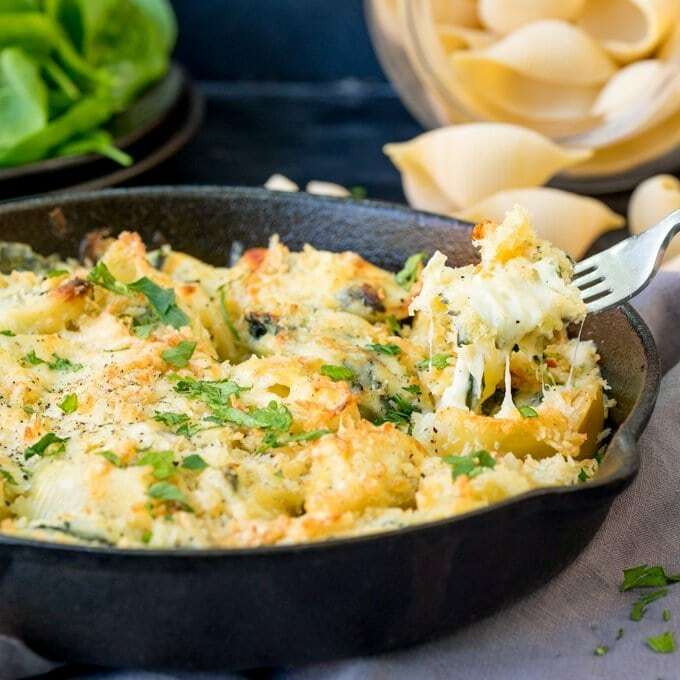 Combined with some spring greens, wilted in garlic butter and topped with Saucy Fish Co. Smoked Haddock with Vintage Cheddar and Chive Sauce, this dinner ticks every box for ‘tastes great’, ‘looks great’ and ‘balanced dinner’. Can’t ask for more than that ???? 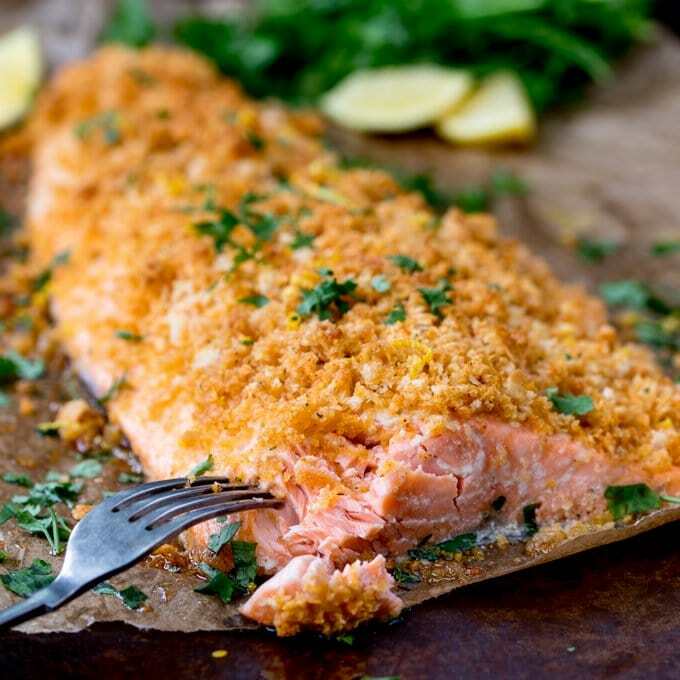 It can sometimes be a bit of a struggle to get the kids to eat fish that isn’t battered or wrapped in breadcrumbs, but they love this smoked haddock. Gracey says the smoked taste reminds her of bacon! I get where she’s coming from, even if her 11-year old palate isn’t exactly what you’d call refined yet! I love the simplicity of putting the foil bake bag in the oven (which is cooked together in the bag with the cheddar and chive sauce) and ending up with perfectly cooked tender fish. If the beetroot risotto sounds a bit scary, than serve with good old mashed potato instead. Check out our full recipe video below. 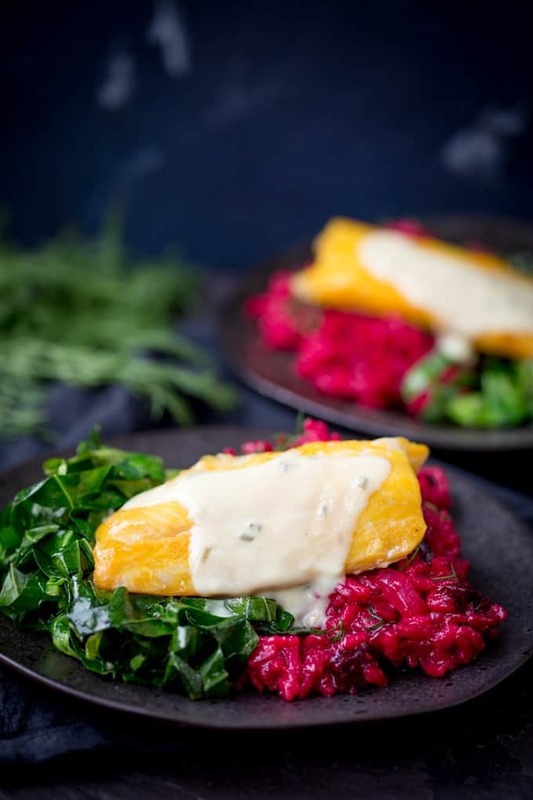 Smoked Haddock with Beetroot Risotto and Garlicky Greens - a colourful and balanced dinner that everyone will love. Full of flavour!! Heat oven to 180C/350F. Toss beetroot ingredients together, roast for 20-25 minutes until tender. Place half of the beetroot into bowl or jug and blend. Put to one side. Keep the oven at 180C/350F for the fish. Next start on the risotto. Heat 1tbsp of oil in a large frying pan (skillet), add the onion and cook for about 5 minutes until the onion starts to go translucent. Add in the garlic, stir and cook for a further minute. Add in the rice and stir until the oil has coated the rice. Add in the wine and stir. Wait for the wine to almost fully absorb (stirring regularly) and then add the stock a ladle at a time - ensuring each ladle has almost fully absorbed before adding the next. Ensure you stir regularly. Continue until all the stock is used, and the risotto is tender, with a slight bite (you can add a little more stock or just-boiled water if needed). This process should take around 20 minutes, so you'll need to cook the fish and greens during this time (see below). Once the risotto is ready, add the pureed beetroot, parmesan, lemon juice, salt and pepper. Stir together until fully combined, then stir in the chopped beetroot and dill. Allow to cook for further 2 minutes to heat the beetroot through. 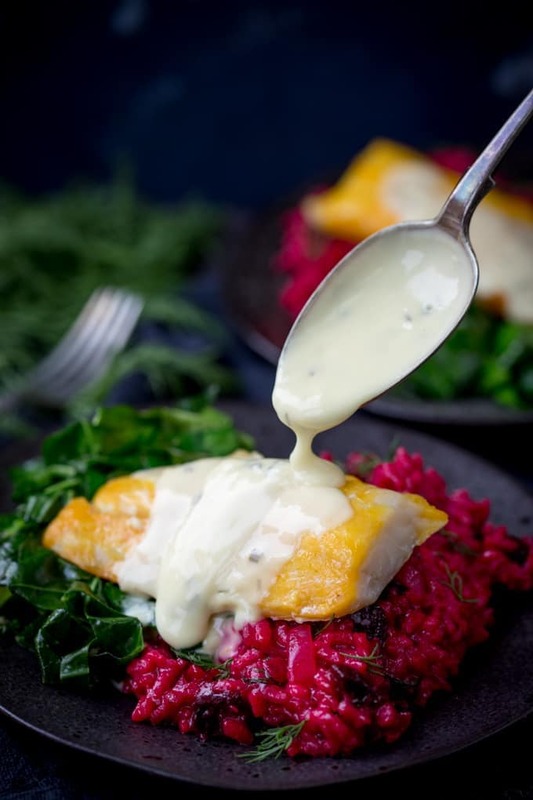 15 minutes before the risotto is ready, place the foil bake bags of Smoked Haddock with Vintage Cheddar and Chive Sauce on a large baking tray, in a single layer and cook for 15 minutes. 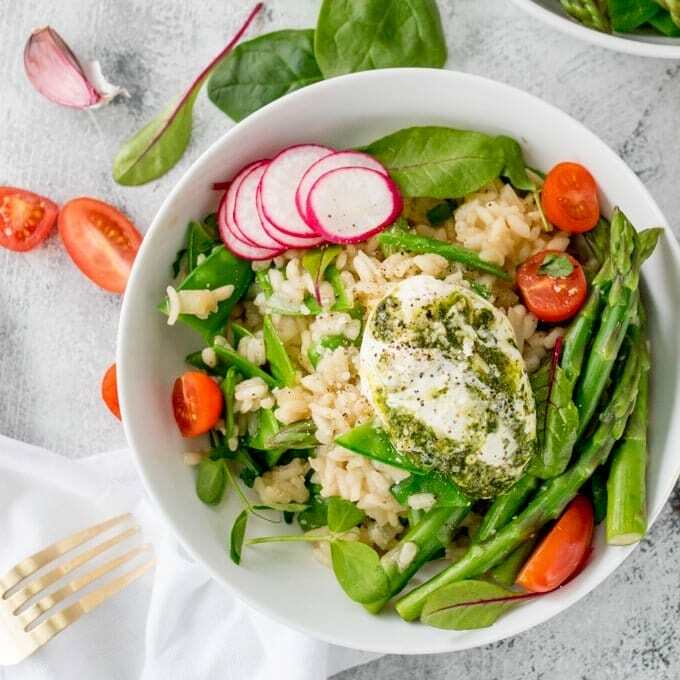 A few minutes before the risotto and fish are ready, cook the spring greens by melting the butter in a large frying pan (skillet) over a medium heat. Add the garlic and cook for one minute, then add the spring greens, salt and pepper, and toss through the butter for 2-3 minutes until the spring greens are shiny and wilted. 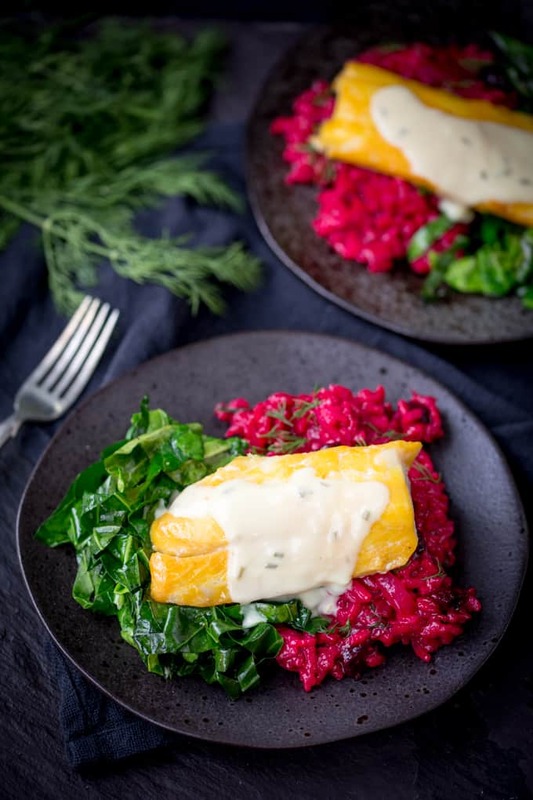 To finish, divide the risotto and spring greens between 4 plates and top with smoked haddock. Drizzle over the vintage cheddar and chive sauce. Nutritional Information is estimated per serving. Made my own fish and sauce but LOVED the recipe, was a totally hit! I was drawn to this dish, by the gorgeous colour of the risotto, but it was all so very tasty. Already a big fan of the Saucy Fish co.
awesome sauce recipe..it seems very delicious..recipe is now posted to all my social media accounts..